Need assistance with your hvac system? We're here to help you with all your heating and air conditioning needs. We charge by the job, not by the hour, TO SAVE YOU MONEY!! At Central Heating & Air Conditioning Co., our ongoing mission is to provide top end service. We vow to have your problem diagnosed in the first half hour (in most cases 10 minutes!) of a service call, or you won't pay for extra time. 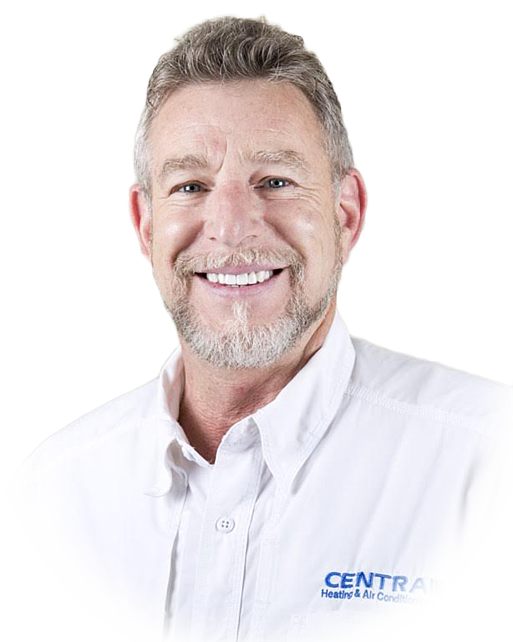 It is our promise to customers that whether routine maintenance, repair or a diagnostic call is needed, Central is the only company you will ever need. Don't just take our word for it — see what some fellow homeowners had to say below! As a member of the Better Business Bureau, we're proud of our A+ Accreditation that goes back 19 years. In fact, the BBB nominated us for one of their TORCH AWARDS, which is very rare in the HVAC industry. We have also received the SUPER SERVICE AWARD from Angie's List for the LAST 8 YEARS! Hurry up and make your appointment today and take advantage of our special offers.